When you want to advertise your brand and business, you need to exhaust every possible promotional method that you can. If you drive a vehicle, whether it’s for personal or commercial purposes, you can turn it into a billboard on wheels. With high-quality car wrapping that includes attractive graphics and signwriting, you will capture everyone’s attention on the road as you pass by them. Each time you drive, you will be advertising your business. If you are not a graphic artist or expert copywriter, no problem. 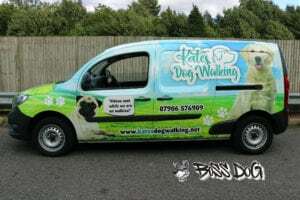 Our car wrapping services include graphic design and copywriting. We can customise your graphics to match your brand, product, service, or however else you desire them to look. None of the graphics we use are templates or royalty-free images taken from some website. When we offer bespoke graphics, we make sure they are 100% original for every customer! So then you can look unique and be one-of-a-kind on the road! Assembly and disassembly of car wraps are a breeze. You don’t need to do any expensive repainting if you ever decide to change the look of your car again or revert back to the old look.